Rabat - The Sakia El Hamra Youth Athletics Club will host its 20th half marathon on November 4 in Laayoune, a coastal city in Western Sahara. 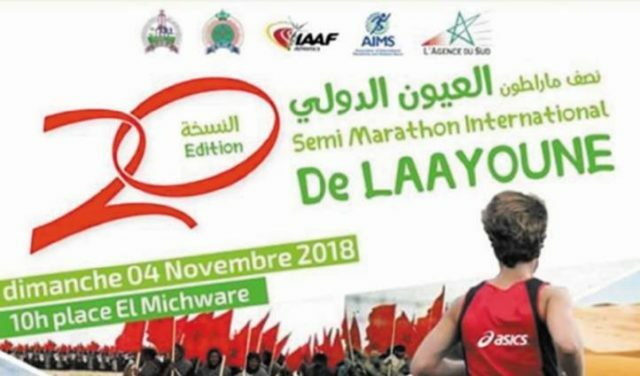 Rabat – The Sakia El Hamra Youth Athletics Club will host its 20th half marathon on November 4 in Laayoune, a coastal city in Western Sahara. The event, organized in collaboration with the Laayoune-Sakia-El Hamra regional league and the Ministry of Youth and Sports, will celebrate the Green March Day on November 6, according to state-owned media outlet Maghreb Arab Press. As in the previous races, athletes from many countries will come to run the half marathon. This year, most of the athletes are coming from Algeria, Mauritania, Tunisia, Kenya, Ethiopia, Eritrea, Rwanda, South Africa, France, Spain, and Russia. This year, the event will include a 4-kilometer race for runners under 16 and for female runners. The organizers also planned a 7 kilometer race for the benefit of vocational and agricultural training institutes and university students. The top ten male and female athletes will win prizes. This year’s half-marathon is themed “Sport, an Engine of a New Development Model” and is supported by various public and private institutions, such as the Ministry of the Interior, the Moroccan national Olympic committee, the elected council, and the Agency for the Promotion and Social and Economic Development of the Southern Provinces.